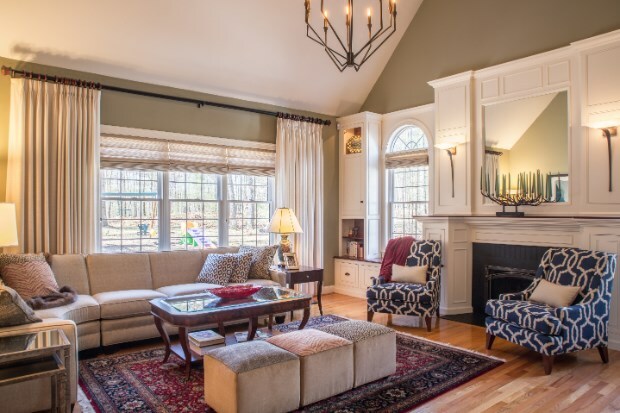 This great room is the primary space where the family watches TV and where guests gather for an informal chat. 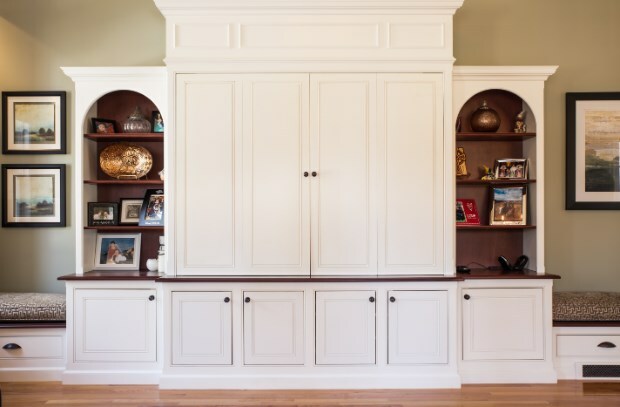 As part of a total room makeover we were asked to build and install cabinetry on two walls. On one wall the fireplace is the main focus point. 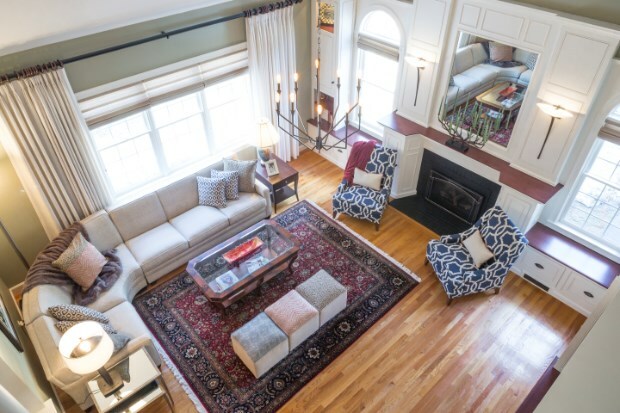 We built a very non-traditional fireplace surround with mantle and topped it off with paneling designed to complement the mirror and wall sconces. On either side of the fireplace we integrated two cabinets that feature a glass display cabinet with lighting and an open shelving unit. The entire design was topped off with a series of drawers. The cabinetry on the second wall was designed to house the television. 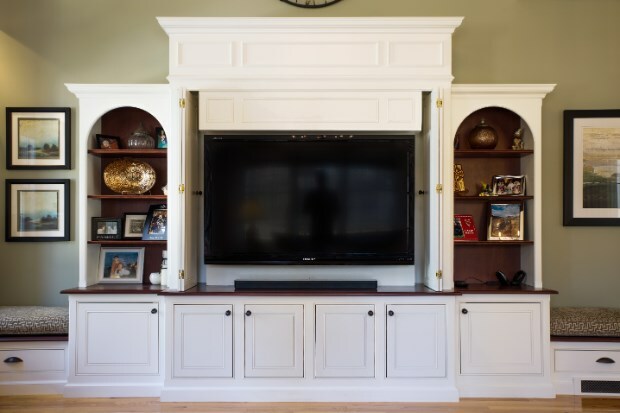 Retractable doors allow the television to be hidden while not in use. Flanking open shelving bookcases along with bench seats and drawers serve to complete the design. The use of cherry shelves, rear panels, and counter top were included to complement the amount of white woodwork, while the use of varying heights and depths, of the various cabinetry components, adds a lot of interest as well.